The communications minister, Jorge Rodríguez, said in a televised broadcast to the nation, that the power cut was the result of a “brutal” attack on a hydroelectric plant on Monday. “We will manage to defeat this electricity war against the people of Venezuela,” he added. Without any evidence, his sister, Delcy Rodríguez, the Vice President, blamed sabotage by the “fascist right” and its “imperial masters” in Washington. 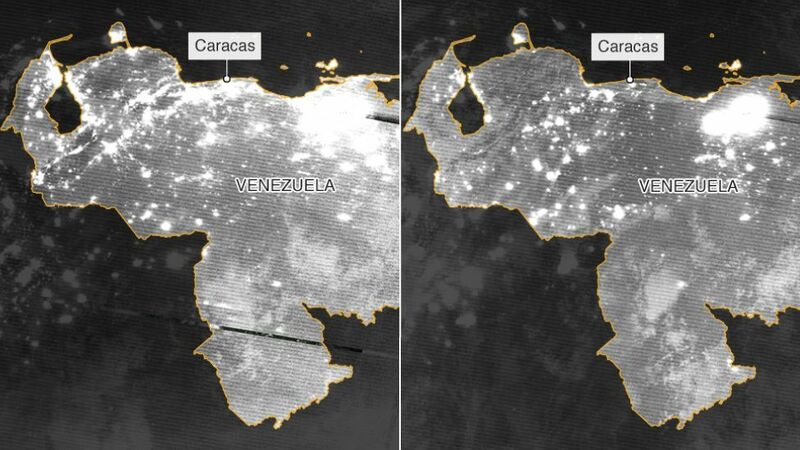 Opposition politicians have used the nationwide blackout as further proof that Nicolas Maduro, the Venezuelan Presient, must step down. The power outage came two weeks after Venezuela faced the worst power failure in its history. Many believe that Venezuela’s crumbling infrastructure is responsible for the blackouts.